Have you ever taken on a massive decluttering project? Maybe you’ve binge-watched a few episodes of Tidying Up with Marie Kondo on Netflix and decided to give her method a try. With the anticipation of the peace and clarity an organized office will bring, you eagerly dive in and throw all your stuff in a pile on the floor. After a few hours, you are exhausted and see the mess you’ve made is worse than before you started. You have two choices: you can shove your newly sorted piles back on your desk, or you can keep going. But the only way to achieve an organized office, and the efficiency that will come with it, is to deal with the messy middle. 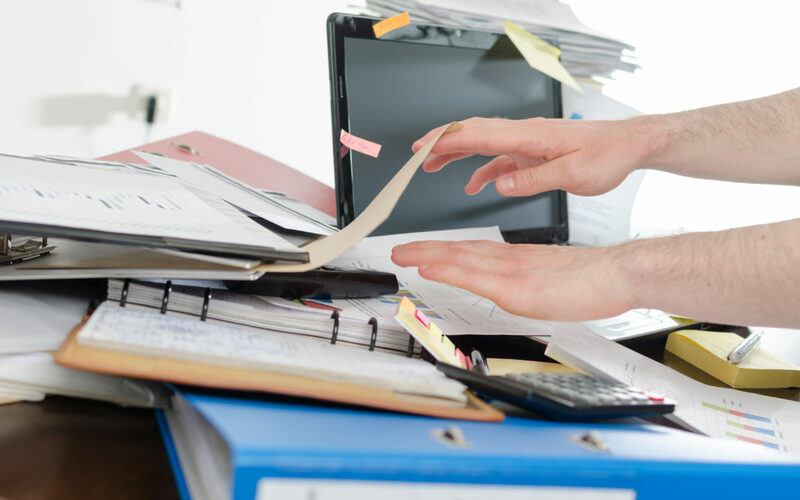 Just like decluttering your office, the implementation of strategic plans or new initiatives have messy middles you must get through to achieve success. Getting started is easy; you and your team are energized by your vision and the measurable outcomes and impact you’ll have once you implement your plan. Yet, many organizations never end up achieving the success they had hoped to realize, because they become overwhelmed and stressed out in the middle, causing them to abandon their plans. Let Your Vision be Your Driver. Keep your organization’s mission and vision front and center, always. Your mission and vision are the ultimate litmus test, even when working at a project level. This will help to ensure that your organization is maximizing its resources to the fullest. Embrace a Continuous Learning Approach. Expect failures and setbacks. View implementation as a creative and iterative process. Nothing is permanent, and everything can change according as your knowledge and experience grows. Avoid All or Nothing Thinking. Timelines can slip, and sometimes that is completely necessary. Don’t let these setbacks completely stop you in your tracks. But be quick to regroup and get things back on track as quickly as possible. Examine any barriers you are experiencing, break the project down into smaller workgroups, or revisit your plan to see if you can break your milestones into smaller groups of activities. Any combination of these actions will help you continue to move forward at a more realistic and achievable pace. Celebrate Each Small Win. Have a process for acknowledging and celebrating reaching each milestone of your plan. Even if it is just, acknowledging it in at team meeting. This process will release dopamine in your brain, helping you stay motivated to persist. Get Some Help. Let’s face it, most new initiatives require leaders to engage in more activities in addition to their already busy schedules. Consider having a third party to keep track of all the moving pieces and parts, ensure accountability, and keep an eye on the big picture. The right partner will fast-track the momentum of your project and ensure you’ll get to finish line. Measurement Resources team members are skilled at partnering with organizations and working in collaboration with your team. And, we keep our eyes on the outcomes end-game. Our team members bring additional focus and structure, while providing an objective perspective. Our team can help to level-set and save countless hours by preventing unnecessary mis-steps and minimizing distractions throughout the planning and implementation process. (Read our two blogs for more tips on strategic planning and implementation.) We are in business to help move your mission forward. But if the project never gets off the ground, then there will be no results and increased impact. Contact us today for a free phone consultation about our strategic planning and project management services and to explore opportunities for collaboration, so that together, we can make 2019 the most impactful year yet for your organization.